You might be worried about an upcoming business trip or want to squeeze in some work during the weekend. Whatever the case may be, you’ll need safe and reliable access to important files at all times to ensure productivity even when you are away from office. Carrying files on a USB or an external drive or even accessing them remotely, may pose security risks. So what is your best option for accessing your work files safely, securely and in real-time from anywhere in the world? The Answer is Cloud Computing! Take your meetings to the cloud to enable effective collaboration and communication among partners, employees and even customers from across the globe. Ensure better participation while eliminating the need for on-site interaction and most importantly have access to important files, applications and projects on your fingertips. Get fast, trouble-free remote access to your PC or Mac from your browser, desktop, or iOS and Android, or even work on all of them simultaneously. How Can a Business Get Access to Cloud Computing? Microsoft SharePoint Online is one of the most widely used cloud applications, offering an MS Office environment on the go. Thanks to its complete integration with Office360 and other famous applications and services, the learning curve is entirely non-existent. Use all your favorite Microsoft Office programs with Microsoft’s 99% guarantee. You can gain access anywhere, anytime by any internet enabled device you choose. CloudAppsPortal.com offers dependable and scalable SharePoint Online solutions for small businesses. SharePoint Online Trial is a great way of testing the facilities and services offered. This trial program can be fully customized to the needs of your organization. 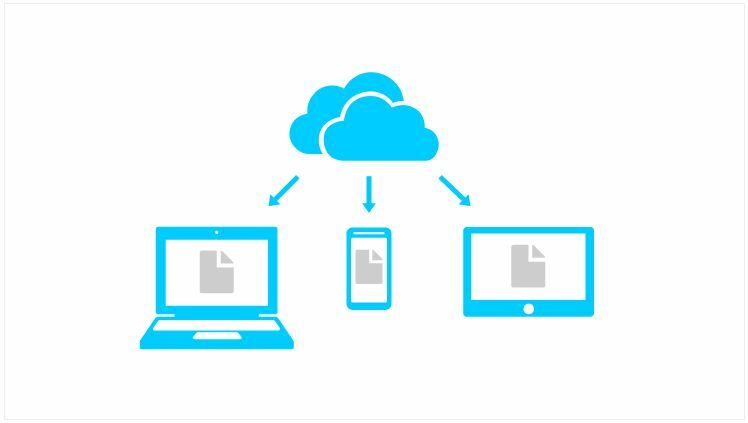 Experience the ease of content sharing and the risk-free migration to cloud computing offered by this software. As one of the leading cloud computing software programs, SharePoint online offers some unprecedented office solutions that facilitate project management, documentation control, as well as effortless security and remote access management. Remote desktop is another cloud service that has transformed the traditional approach to “working” at the office. Virtual desktop hosting works like a direct portal to your workstation. Users get virtual access to all the applications, files and data on their desktops as all of these are saved on the hosting provider’s server. This means you can access these from absolutely any PC with a reliable internet connection. With the right virtual desktop hosting software, you can view and interact with your office desktop as if it were right in front of you. Some of the best, most dependable virtual hosting solutions are delivered by CloudDesktopOnline.com. They extend customized services and remain true to their claim of delivering steady experience even in low bandwidth circumstances. This can come in handy specially when accessing remote desktop with an unreliable internet connection in far-flung location across the world. These remote desktop solutions are available for just about any Windows PC, Mac, smartphone or tablet with an internet connection. Remote technology such as cloud computing not only offers more time on the job, but also helps significantly reduce downtime and absenteeism caused by snow days and other unavoidable challenges. Ensuring access and productivity is now easier, thanks to cloud computing. You can access your applications and other network resources, even stay up-to-date with your Outlook email and sync calendars and tasks no matter how far away from the office you may be. Additionally, these services offer never-before-seen connectivity that fuels collaboration. These technologies offer simple, safe and quick access to work, offering storage, sharing and collaboration capabilities to all users, across all devices they may be using. And all the while this data is secured with your cloud computing service provider where it is regularly backed up and protected from any unauthorized access.